Had a boiler breakdown? No heating or hot water? Whatever your emergency, there’s no need to panic, LPC’s boiler repair team has you covered.We have a team of highly-trained gas boiler engineers available who can help get your heating back on and your hot water running again, in an emergency just give us a call and a member of our boiler repair team will attend as soon as possible. We cover emergency boiler repairs and breakdowns across London and the surrounding areas, on top of boiler repair we can also inspect, survey & replace your old boiler. Whatever it is you need, give us a call today to speak to one of the boiler repair team and discuss your requirements or alternatively you can request an appointment through our online booking from. 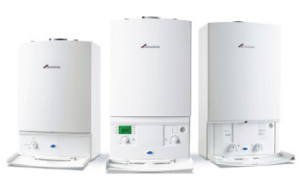 If you’re planning on replacing your old boiler then give us a call, we offer some of the most competitive prices in London for having your old boiler scraped and replaced with a brand new, modern & efficient boiler, contact us today to arrange for a gas heating engineer to attend and survey your property. For greater peace of mind, why not consider boiler repair and cover which includes a fixed price repair and ongoing cover for future boiler and central heating breakdowns. We are experienced Gas Safe Registered Engineers, we specialise in boiler repair and installation, this includes all makes and models of domestic Gas fired Central Heating Boilers. We offer a variety of services to cater for your plumbing and central heating needs, including; boiler repair, replacement, installation, emergency boiler repair and 24 hour emergency service. Emergency Call Outs Repairs & Installations, No plumbing job Is Too Small For All Heating Systems, Boilers, Kitchens & Bathrooms. We provide a wide range of boiler repair services through a carefully selected team of Gas Safe registered plumbers and heating engineers with many years of boiler fitting and repair experience. Our experienced, Gas Safe registered heating engineers and plumbers are able to offer boiler repair on all types of gas boilers, electric boilers and central heating systems.